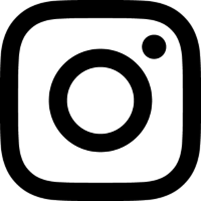 What: Mont Orgueil Castle, Elizabeth Castle, Corbiere Lighthouse, Liberation Statue, Archirondel Red Tower, World’s Largest Steam Clock, Jersey Parliament in Session, Central Market. Illnesses or mishaps: Wishing I'd set aside more time, thus allowing for a connecting visit to the island of Guernsey. After Burma in south east Asia and Qatar in the Middle East I end up in...Jersey in the Channel Islands. You can't say my destinations aren't varied! The Channel Islands is made up of eight inhabited islands around 15km off of the French coast. Seven of these islands are under the governance of Guernsey, the CI's second largest island. Jersey governs itself and is the largest and most populous island in the English Channel. As with many Lilliputian islands, their size and awkward geographical positioning between different countries makes for complex arrangements. Perplexingly, both groups of islands, known as 'Bailiwicks', are UK Crown Dependencies but are not part of the UK. 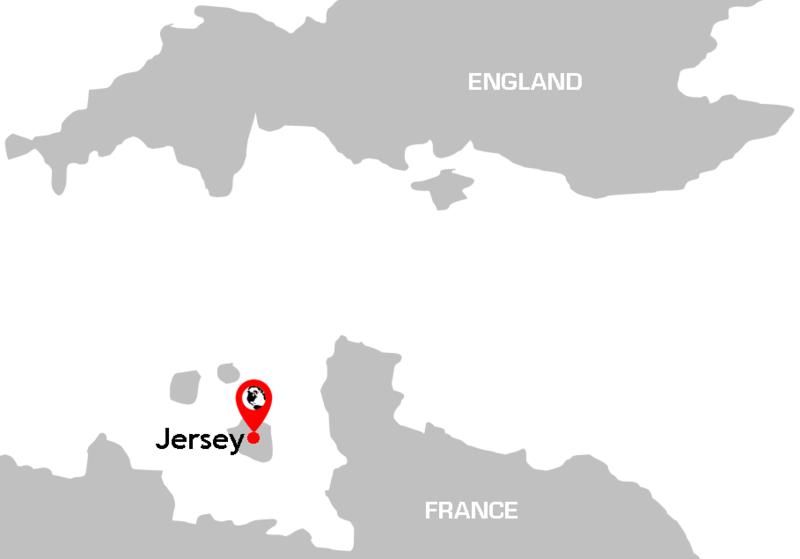 Jersey falls under the Duchy of Normandy's jurisdiction but has the British Queen as its head of state. Confused? Try travelling there. The weird melange of accents is testimony to the complex history of these islands - which has been punctuated by invasions and occupations. Most recently the islands were occupied by the Germans in WWII - the only part of the British Commonwealth to have been occupied by the Nazi army during the conflict. Indeed, signs of Nazi occupation scar the island. The concrete Corbiere observation tower on the south western coastline of Jersey squats menacingly a few hundred metres from the delightful and iconic Corbiere lighthouse. The lighthouse is a familiar symbol of the island, featuring on the States of Jersey's 20p coin and £5 note . The cold, blustery February weather added a sense of isolation to the place which, in the past, has played host to clandestine smuggling and dramatic shipwrecks. The ugly grey monolith is like a coarser, brutalist counterpart to the elegant white beacon. Nowadays it has an alternative, and far less threatening, function in everyday island life - it's a one room hotel which you can book through the Jersey tourist board. Another tell-tale sign of Jersey's turbulent history is reflected in the ubiquitous presence of the word 'liberation'. Indeed, even the island's bus company is called 'Liberty Bus', with the main bus station located just off the very significant 'Liberation Square'. Being so close to the French coast, Jersey has an unsurprisingly French complexion. Place names are more often than not written in Francais - even English names are preceded with an obligatory "Le" as if adding it to the start of any word suddenly makes it French. Sounds of French speakers inter-weave endlessly with English ones (with a very strange accent which, to my ignorant ear, sounded almost South African). Jersey is a perfect Parisian patisserie... but don't get carried away too soon. This French fancy comes with a huge dollop of full English as a compulsory side order: M&S, fish and chips, red post boxes and BBC1. The island's currency is also familiar - but with a distinctly Jerseyan twist. Most noteworthy, literally and metaphorically, is the States of Jersey's green £1 note (featuring Queen Liz II herself). I took the trouble of buying one from our taxi driver, swapping a pound coin for a pound note. I needn't have bothered - we ended up with a whole stash of them by the end of the trip anyway! We based ourselves in St. Helier - to all intents and purposes Jersey's 'capital' being, as it is, the closest thing the island comes to a town. Its waterfront comprises of rather bland modern (and therefore controversial) developments catering for Jersey's suit-wielding rich listers and marinas full of yachts of all shapes and sizes. A surreal sight on the North Quay part of St. Helier is 'Ariadne', the world's largest steam-powered clock modelled on an old paddle boat. Seeing it reminded me of the Laxey Wheel on the Isle of Man mixing, as it does, an unusual spectacle with a world record (Laxey is the world's largest working waterwheel). Whilst the steam clock can almost be classed as an aberration, the huge Orgueil Castle at Gorey harbour on the eastern edge of the island is the undisputed symbol of Jersey. Hopping aboard the Liberty Bus to Gorey Pier we stopped for coffee and took in picture postcard views of harbour houses, pleasure boats and cafes - all eclipsed by the castle's soaring bulk and a sky which was constantly threatening to turn blue (and by lunchtime it had done just that). A ten minute bus journey further up the east coast took us to the Archirondel Tower, a curious gun tower with its seaward face painted with war-like red and white stripes. Stood on its own, Archirondel looks as desolate as it does dramatic. Asking local cafe or bar owners for bus and taxi advice often concludes with the inevitable "good luck". Not exactly reassuring but testimony to the fact that buses only run every couple of hours on some routes and taxi companies often refuse to come and get you if it's out of the way. You could be left stranded for hours along the coast with only the soles of your feet as your mode of transport! Add to this the cold February winds and you can see that a trip out to see something on the buses could quickly turn into a nasty experience. Safely back in St. Helier, and after a quick security frisk by the guard, we found ourselves sat in the public gallery of the States Chamber of the Jersey Parliament watching a debate on a new fishing bill. Different! Jersey is best visited in season (March-October) but, unfortunately, this is when prices sky-rocket. Visiting in February is a cold and unpredictable ordeal which has the potential to limit what you can do - including the many sporting options the island offers (not to mention that outside off peak season many attractions are closed). Islanders on a number of occasions gave us a frosty reception, but then quickly warmed to us. I did feel that outside of peak season, Jersey is a local island meant for local people. Jersey is a curious place full of unusual oddities and a rugged, dramatic coastline. I am always keen to espouse the notion that every place has its visit value and has something to offer if you are willing to look hard enough. It is worth a visit, but I would have liked to have combined my trip to Jersey with some island hopping to other islands in the Channel including Guernsey and Sark. The huge Orgueil Castle at Gorey harbour on the eastern edge of the island - the undisputed symbol of Jersey. A triangular rendering of the States of Jersey flag flaps above Orgueil Castle's battlements at Gorey Harbour. The unusual Archirondel Tower looks out to sea with its red and white war paint. A surreal sight on the North Quay part of St. Helier is 'Ariadne', the world's largest steam-powered clock modelled on an old paddle boat. The lonely Corbiere Lighthouse at sunset. It is located on the most westerly point of Jersey. Take a few taxi telephone numbers with you. Often local buses can let you down and leave you stranded. Make sure you visit inside the States of Jersey parliamentary chamber - it's free and you get a great sense of the island's politics at work. The Channel Islands, because of their geographical location, are windy places. In Winter the wind is biting. Take windproof clothing if you're planning on spending a significant proportion of time outdoors.